A key legislator says all the “tweaking” that can be done has been done and state budget negotiations are nearing an impasse. Senate Democratic Leader Mike Gronstal of Council Bluffs is among the handful of legislative leaders who’ve been meeting privately for weeks, trying to bridge the differences between Democrats and Republicans. Gronstal, who is the top-ranking Democrat in the legislature, said that spending gap is less than $100 million and the “biggest sticking points” remain. Democrats want to spend more on public schools than do Republicans and Democrats are pressing for more spending on government health care programs. 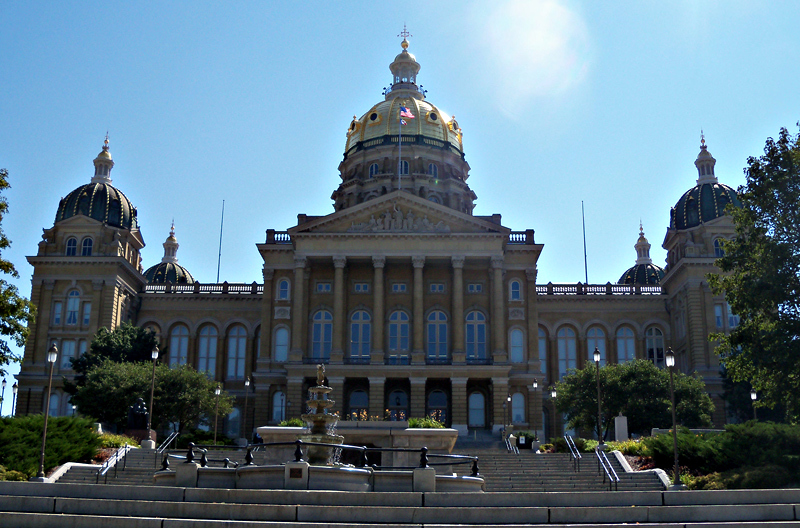 “To the extent we underfund, don’t provide enough resources for health care, we raise all the rest of Iowans health care plans because of uncompensated care in hospitals and doctor’s offices and other health care providers across the state,” Gronstal said. House Speaker Kraig Paulsen of Hiawatha, the legislature’s top Republican, said negotiators have “made progress,” but it’s difficult to bridge the gap. Republicans are insisting on a $7.1 billion overall spending plan for the state budgeting year that begins July 1. Democrats and Republican Governor Terry Branstad favor an overall spending level that’s about $200 million higher. Paulsen said Republicans in the House have proposed a budget that fits with the amount of taxes the state is expected to collect next year. For the past several weeks, the discussion among legislative leaders has centered on ways to use some of the state’s billion dollar surplus on some one-time projects or programs. Paulsen says Republicans are willing to do some of that, but Gronstal suggests that well has been tapped out. “We are nearing the end of our ability to tweak things any further,” Gronstal said shortly after 9 a.m. this morning. It’s unlikely either the full House or Senate will meet for votes on Thursday or Friday.